The head of Swiss-based planning group Zimmerberg (ZPZ) has revealed controversial plans to construct a series of artificial islands along the banks of Switzerland’s famous Lake Zurich. According to company president Ruedi Hatt, the proposed development will form a much-needed solution to the lack of public space surrounding the lake. 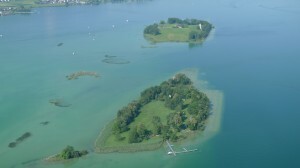 The former politician delivered a considerable statement of intent within an interview printed in the Swiss newspaperNeue Zürcher Zeitung am Sonntag, announcing plans to dredge the beds of nearby streams and rivers in order to create a series of man-made islands along the lake’s left shore. The ZPZ President conceded that he was forced to think outside the box as a direct result of the bureaucratic paralysis surrounding development of the Lake Zurich’s shores and believes it’s high time that fresh approaches are considered. Plans have already been submitted to the regional authorities for consideration. A representative of the Canton of Zurich’s Building and Planning Department confirmed to Private Island News that the plans are currently being scrutinized. Describing Hutt’s idea as a “possible vision of the future”, spokesperson Dominik Broder explained that the next step for the local authorities is to investigate whether the sediment from the nearby rivers and streams is suitable for this type of construction. 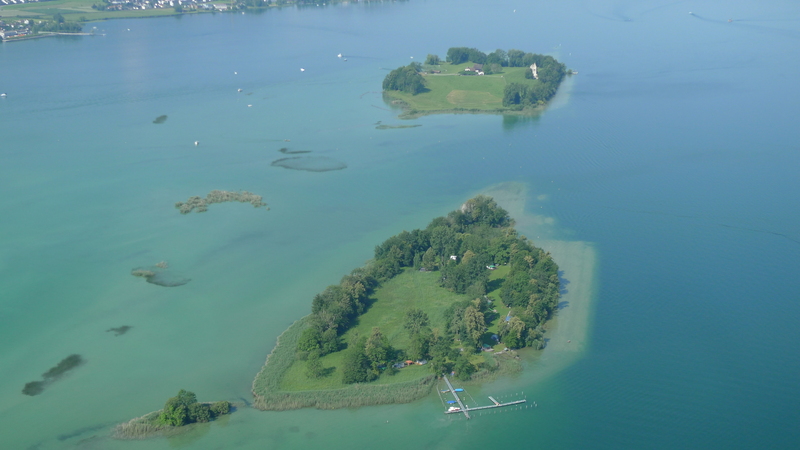 Whilst it will take at least 10 years before Hatt’s plans can realistically be realized (providing they get the go ahead), it won’t be the first time that artificial islands have been constructed in Lake Zurich. The so-called Saffa Island – the architectural center-piece of as celebrations to mark the Swiss Exhibition for Women’s Work in 1958 – is also a man-made creation and could well form a model for future constructions. 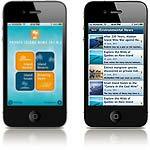 Islands in Lake Zurich – Did you know…? The proposed development will go a long way to redressing the balance between when it comes to cantonal island ownership in Lake Zurich. 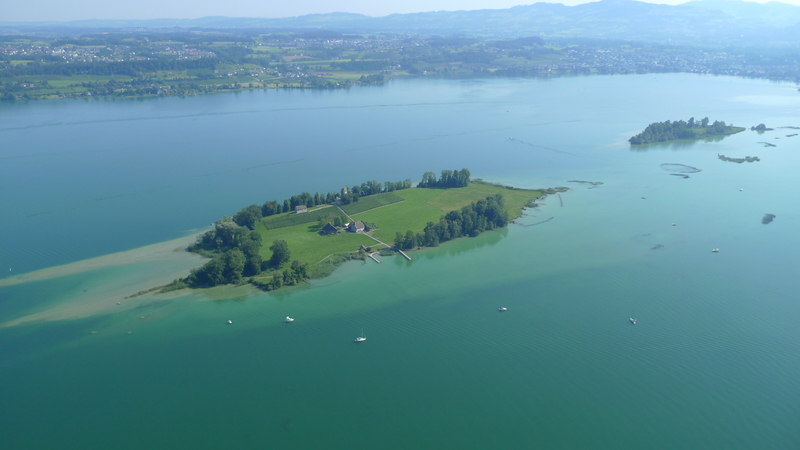 Whilst the canton of Schwyz can boast the picture-perfect private islands of Ufenau and Lützelau (stars of Farhad Vladi’s Swiss and Alpine Islands) amongst its plethora of insular abodes, the Canton of Zurich is currently hometo just a scattering of insignificant mini-islands – many of which are barely bigger than an ice-rink. 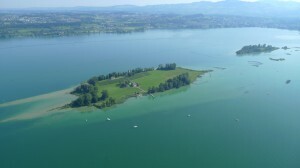 As things currently stand, the Canton of Zurich lays claim to just three islands – the Island of Schönenwerd (located just off the shore at Richerswil), the tiny, 90 square meter Haab Inseli and the slightly larger Saffa Island – the man-made island constructed for the SAFFA exhibition in 1958. 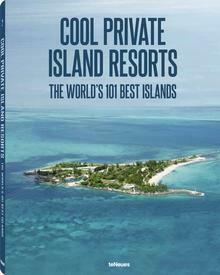 Whilst the proposed island development will do much for local bragging rights, it remains to be seen whether they will match the beauty of the nearby picture-perfect private islands of Ufenau and Lützelau (stars of Farhad Vladi’s Swiss and Alpine Islands). We shall wait and see!